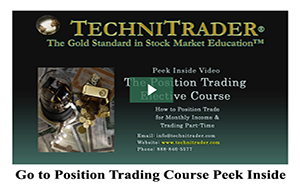 Beginners and Advanced Traders alike all want to know how to make money in the stock market. But what they really need to learn is how to not lose money in the Stock Market from trading, that is the real secret to consistent success. Let’s talk about how you can learn not to lose money in the stock market. Many seminars will talk about trading as a zero sum game, and that is the first falsehood most traders learn. Trading and investing is not a game. It is a serious business that must be treated exactly as you would any other small company you owned and ran. Your trading business needs to make consistent profits, exponentially growing profits over time. If a small store made profits on less than half of the merchandise they sold and lost money half the time, how long would they be in business? If a doctor was only accurate half the time with his diagnosis for his patients how long would his practice last? If a traffic controller was only able to land half of the planes safely, how long would he keep his job? If a bank only made money on half of its loans, and lost money the rest of the time how long would it keep its doors open? Trading is no different than any other small business. There must be profits on a consistent basis, and therefore most of your trades must be profitable. In order to be successful in the Stock Market you must have a minimum of a 75% success rate on a paper trading simulator and 80-90% rate is preferable. 1. Practicing on a simulator with paper money is the best way to learn and first achieve this success rate, without putting your hard earned money at risk being live in the market and unprepared for Market Condition changes. 2. Learning current Candlestick Patterns and which of the Market Participants create those patterns is essential. 3. Understanding Fundamental Indicators for both investing and trading to track where the giant Institutions are investing using Dark Pool venues of the exchanges, is important in the current markets. 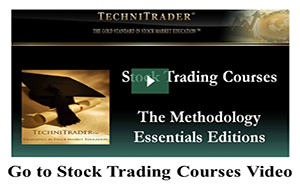 Stop guessing what to do, and start a Stock Market education with trading and investing courses designed for beginners learning how to make profits. 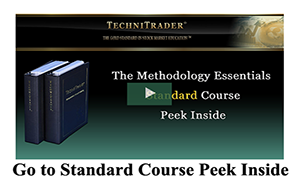 Invest in yourself first by taking the time to get a solid education about the basics of the Stock Market, Market Conditions, Market Participant Groups, as well as Chart Template Settings with Leading Indicators for our automated market. Then go live with the confidence of a professional.